The sled is back in an elegant update of a classic, with a cantilever frame and loop arms. 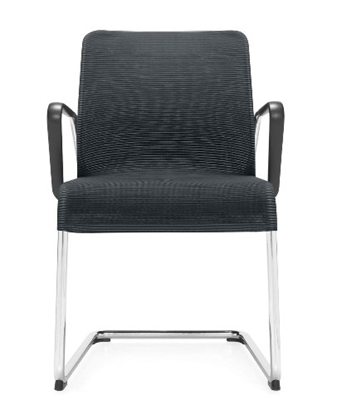 Global's new Lite seating series blends refined metal work with a beautiful ribbed mesh covering. 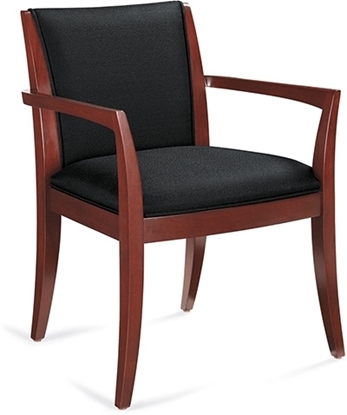 A solid hardwood constructed guest chair with an elegant uncomplicated design, this model works well in a reception room or in a private office. The armless chair design makes it ideal for waiting rooms where space is at a premium. 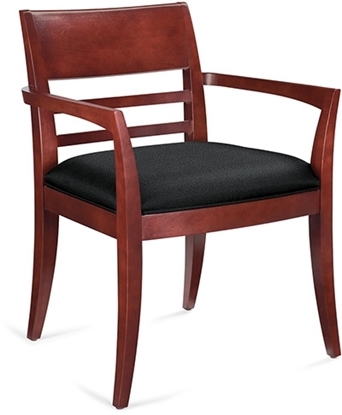 A stylish sold wood frame chair, the Global Islands 4075 guest chair combines style, solid construction, and price. 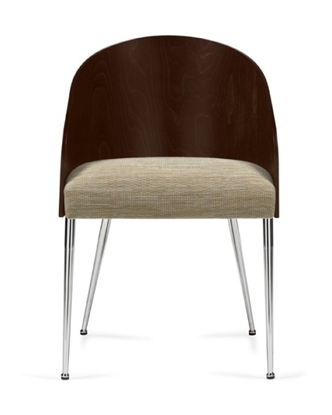 This wood guest chair is available in 8 different wood finishes and features contemporary curved lines. A stylish sold wood frame chair, the Global Islands 4075 guest chair combines style, solid construction, and price. This wood guest chair is available in 8 different wood finishes and features a contemporary wood back. The Priority 8492 guest chair is designed with a compression molded wood back that follows and supports the ergonomic contours of the spine for comfort. This sled base office chair is a great addition to any waiting room, conference room or executive workspace. Order now for free shipping! The Global Marche is a clever contemporary wood seating series that can be utilized within guest, hospitality and office lounge settings. 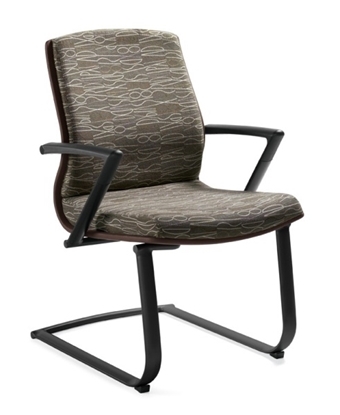 The 8622 model features an upholstered back available in a wide variety of fabric choices. Order today and get free shipping! A contemporary wood seating series from Global. Marche has a designer look that can be utilized within hotel, guest and office lounge settings. 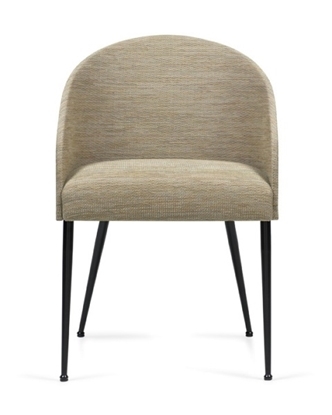 The 8624 model features a sleek Italian curved plywood back that is available in a wide number of finishes, perfect to match your existing office waiting room or lounge decor. Get free shipping on all orders! Constructed with a solid wood frame, the VSC9 guest chair is upholstered with a leather seat, back, and arm panels and has exposed wooden legs. It coordinates well with wood veneer executive desks and also looks great in a waiting room. Warranty and free shipping available on all office furniture. 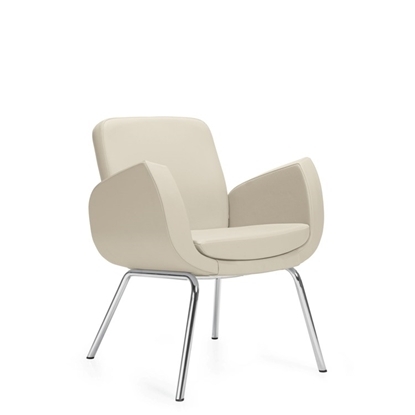 A chair that can be used in a private office or in a reception area. This chair features a unique design that combines both retro and contemporary styling and is a perfect match to the 2811 Office Chair. This chair is a special order and has a 3-4 week lead time. 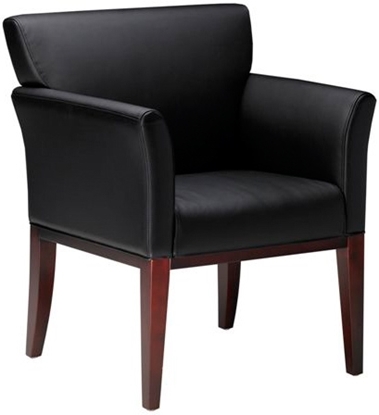 A Leather Guest Chair that can be used in a private office or in a reception area. This chair features a unique design that combines both retro and contemporary styling and is a perfect match to the 2811LM Office Chair. This chair is a special order and has a 3-4 week lead time.